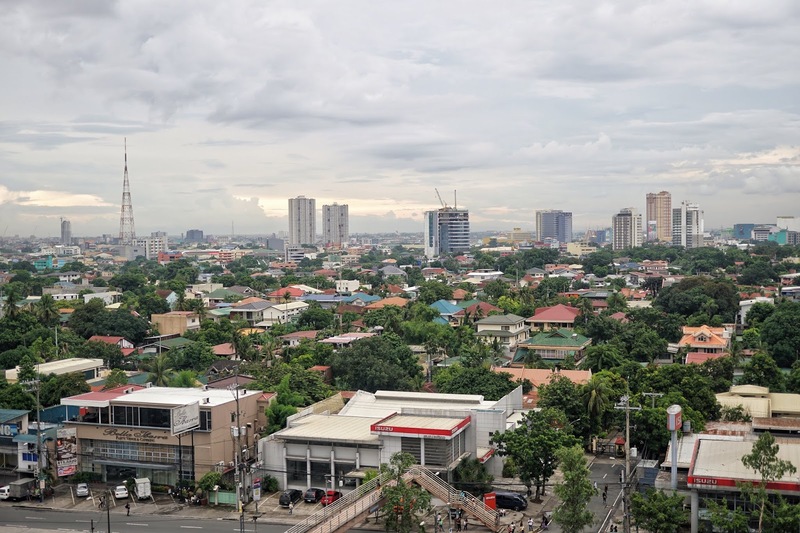 It's interesting to see Quezon City bloom into a dynamic food scene. Gone are the days where the area is just a place filled with beer pubs and cheap eats. 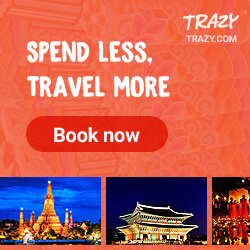 As more boutique hotels open in the city, we get more options for dates and night out with friends. And one perfect spot to hang out is Nautilus Whiskey Bar. Located on the roof deck of Prime Hotel along Sgt. 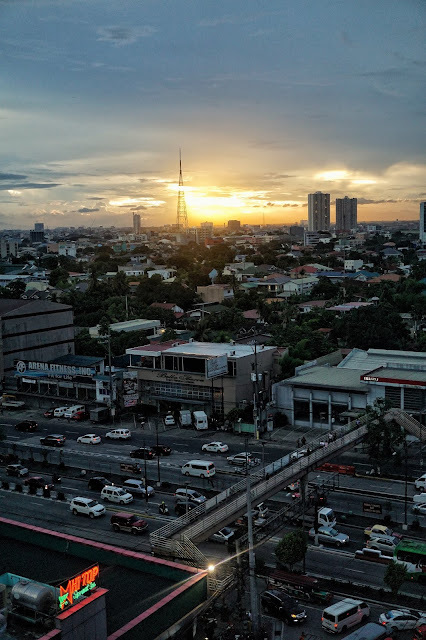 Esguerra, Nautilus Whiskey Bar offers a nice vantage point to enjoy Manila's sunset. One must be prepared to take two flights of stairs before enjoying the view though. 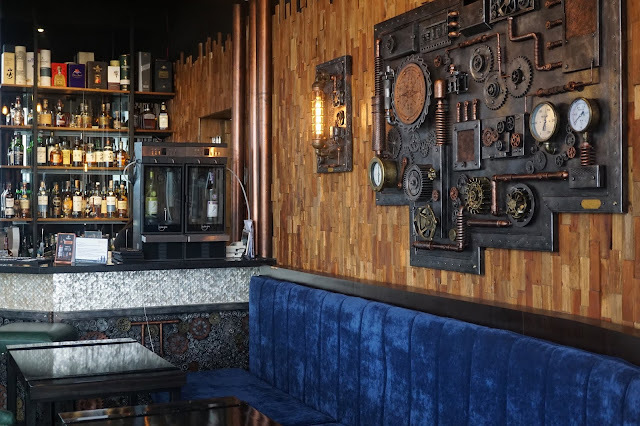 Named after the submarine captained by Nemo in Jules Verne's adventure novels Twenty Thousand Leagues under the Sea and The Mysterious Island, the bar is designed with touches of industrial decor and nautical elements. I instantly fell for the bar's striking interiors. 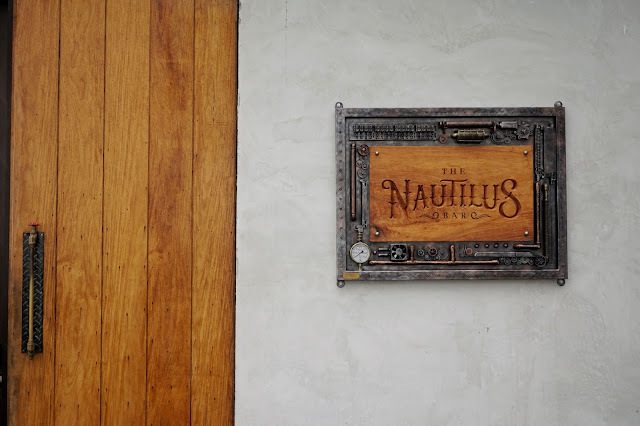 Designed by Industrial Designer Ram Mallari, Nautilus has this nautical yet masculine and industrial vibe. Dark and bold hued furniture created a lovely contrast against the dark wood tables and walls. 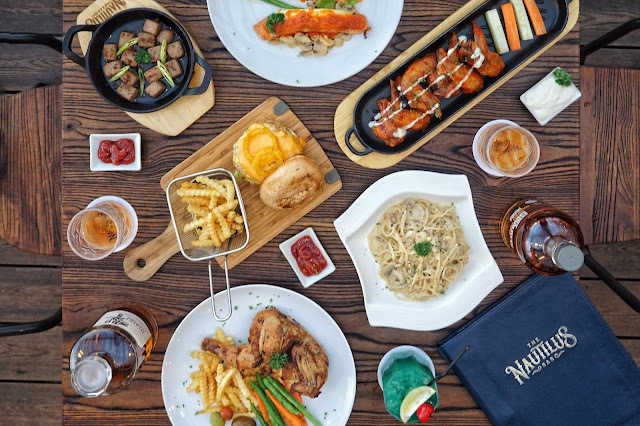 Unlike other bars in the area, Nautilus lives up to its name by offering a wide array of liquor ranging from wines, cocktails and of course, single malt. Here, you could enjoy the likes of Hibiki 12 Years and even Macallan 18 Years. 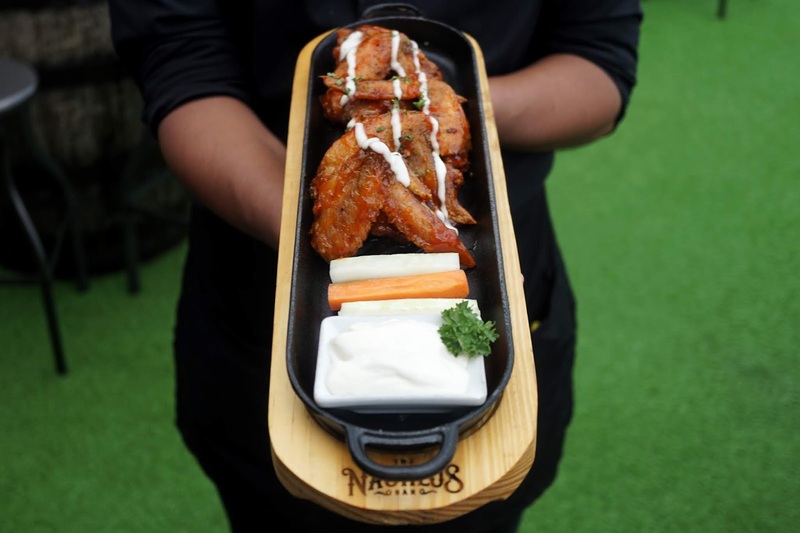 But I heard that the usual order here is good ol' Johnny Walker and Jack Daniel as the crowd's relatively younger and they tend to stick with the more familiar and pocket friendly drinks. 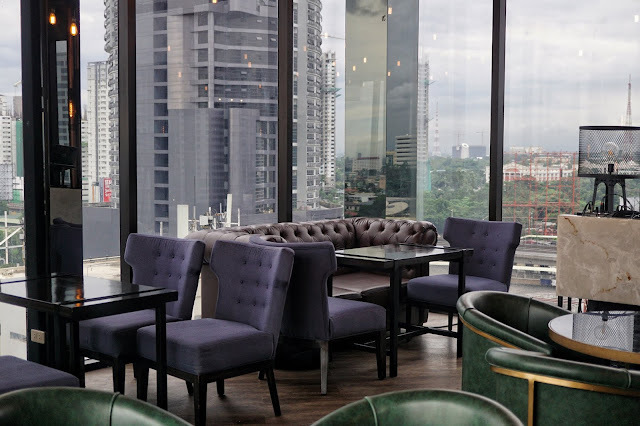 While waiting for our food, I found out that Prime Hotel is actually the first hospitality venture of Mega Global Corporation or more known as Mega Sardines. 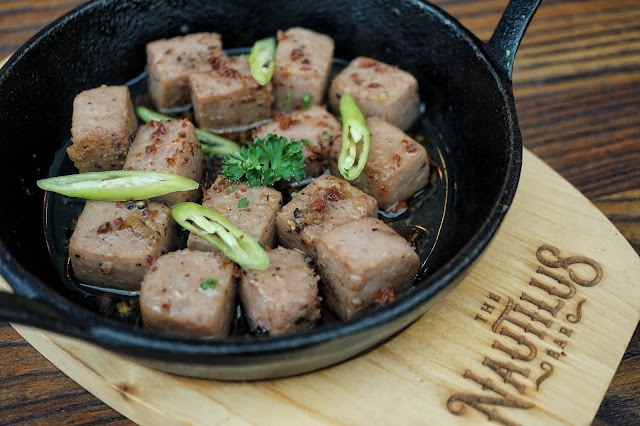 First served was Wagyu Cubes (PHP450) served on a skillet. Tender and succulent, it was a nice starter to any meal. Just don't expect much texture from this dish as the meat was finely grounded into cubes. 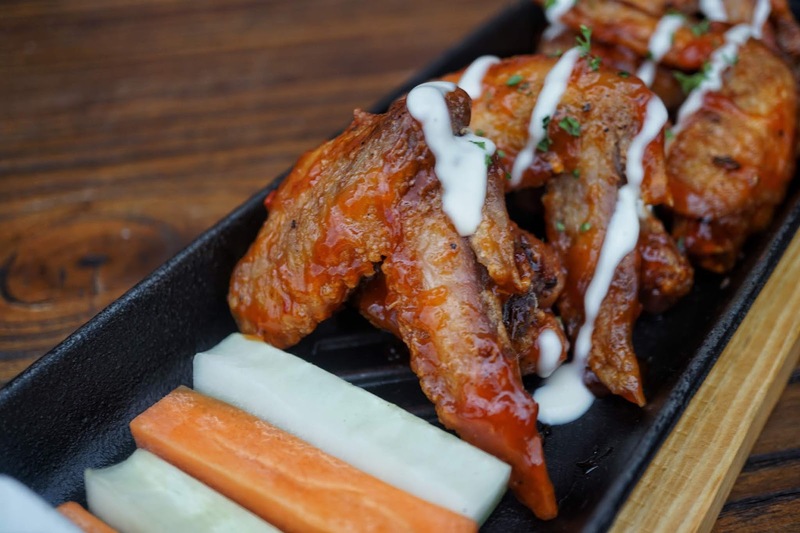 I was hesitant to try its Buffalo Wings (PHP275, 4 pieces) as its bright orange hue intimidated me. But after having a bunch assure me that it's just mild, I took a bite. And it was surprisingly not that spicy. Sour, salty and a bit spicy, each bite was filled with complex flavors that tickled my taste buds. 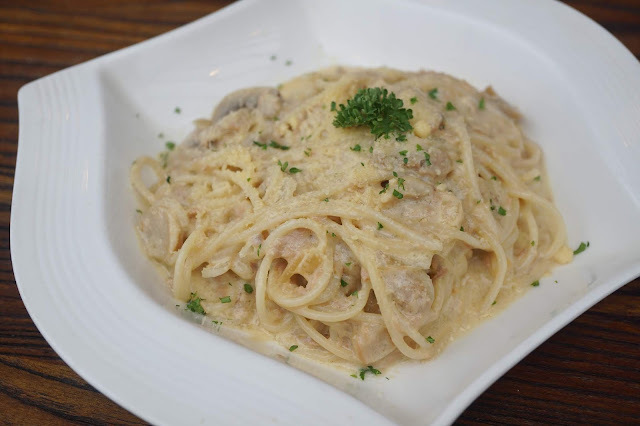 The Tuna and Mushroom Alfredo (PHP275) was generously masked with cream sauce and mixed with Mega tuna and Mega prime mushrooms. It didn't really stood out that night for me as it wasn't anything special. But it was definitely filling. 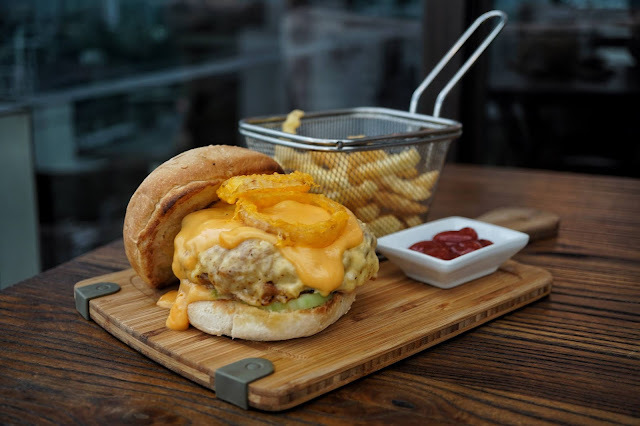 One of my favorites would be Nautilus Signature Cheeseburger (PHP325). One could easily tell that the patty they use is homemade given its texture. The beefy patty was nothing short of delicious and the melted cheddar cheese gave it mouthwatering cheesy taste. I skipped the onion rings though as I'm not a fan of it. Instead, I got extra potato wedges for myself. 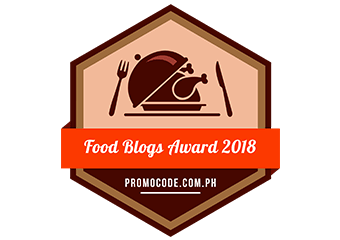 The Baked Norwegian Salmon (PHP495) was pretty good too. 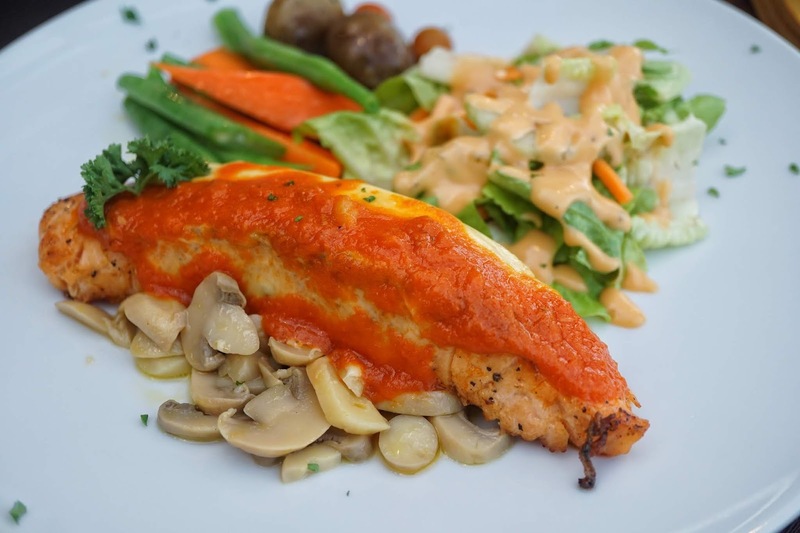 Moist and flavorful in every bite, it was well complemented by shiitake mushrooms and cheese which gave this beautiful fish extra flavor and texture. 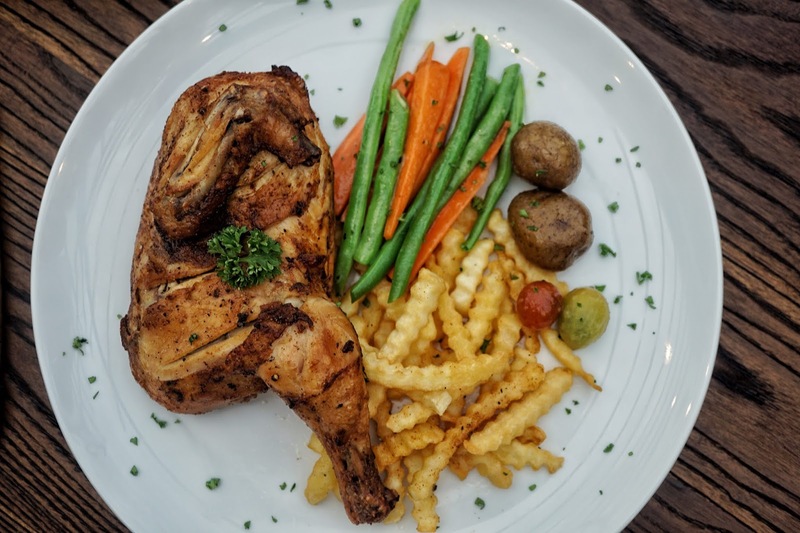 The Roasted Spiced Chicken Au Poivre (PHP445) is bang for the buck! Roasted half chicken wonderfully flavored with various spices and served with blanched greens and fries, it's one plate great for sharing. A trip to Nautilus won't be complete without having a drink! And for this visit, we all had The Nautilus Sling (PHP275). 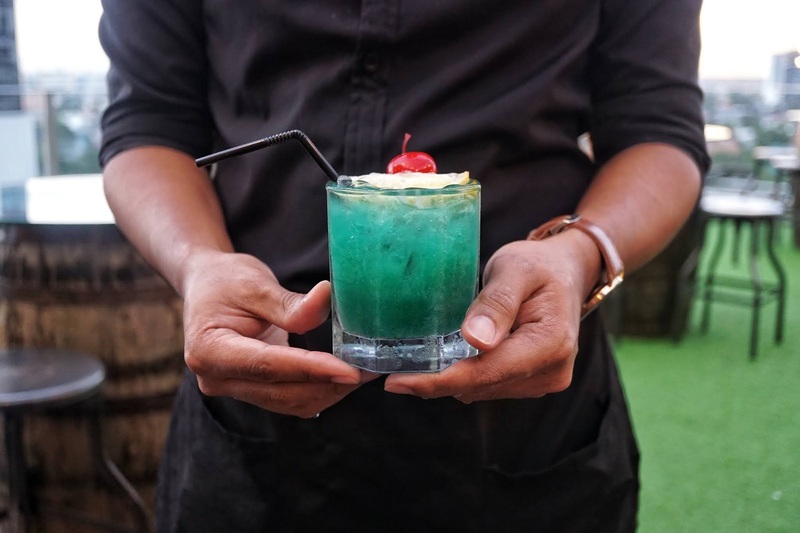 A delightful concoction of orange and lime juice, triple sec, blue curacao and bourbon whiskey, a sip of this would give you an addictive refreshing citrusy flavor. Acoustic night takes place every Thursdays to Saturdays from 8 p.m. to 12 midnight. Too bad we missed it as we left at 7:30. 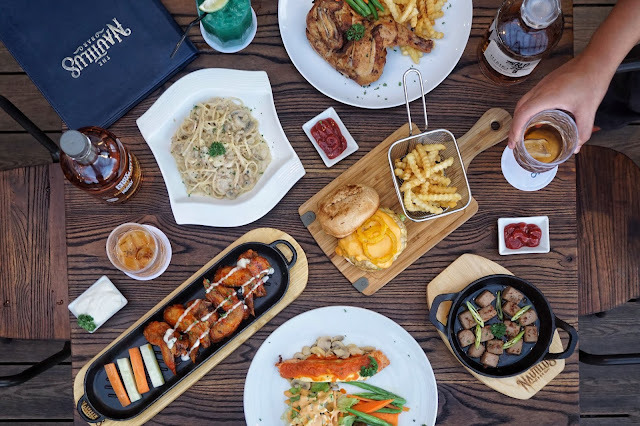 Thank you, The Nautilus Whiskey Bar and Zomato for the invite! 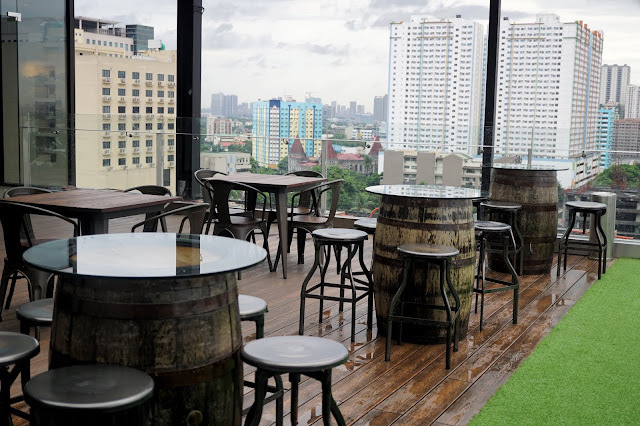 The Nautilus Whiskey Bar is located Roofdeck, Prime Hotel, 70 Sgt.E sguerra Street, Brgy. South Triangle, Quezon City. 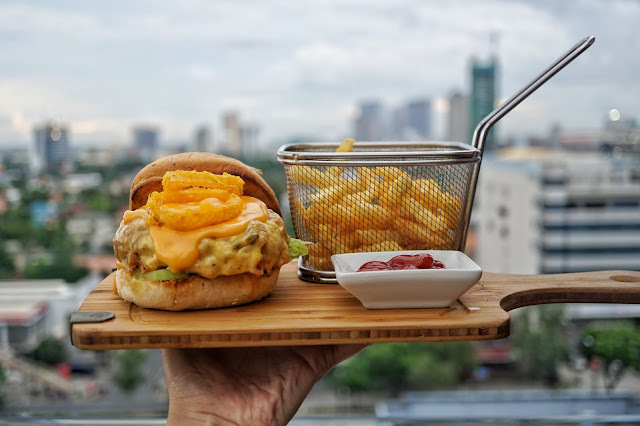 It is open Tuesdays to Thursdays from 5 p.m. to 2 a.m.; and Fridays to Saturdays from 6 p.m. to 3 a.m.. For inquiries and reservations, you may reach them at +63 998 8680324.